You might be wondering and probably the most surprising changes started in Dota2 6.87 version — The Scanning of map ability. 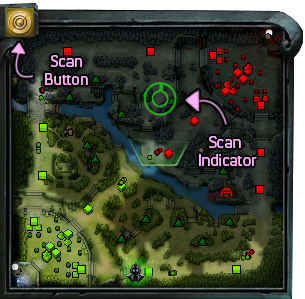 In Dota2 6.87 version, players can use the SCAN feature found on top-left of the mini-map user interface to detect any enemy heroes in a specific area of the scanned (See photo below). As you can see above photo, the Scan Button is located at the top left of the Minimap. You can click it if it is already available. 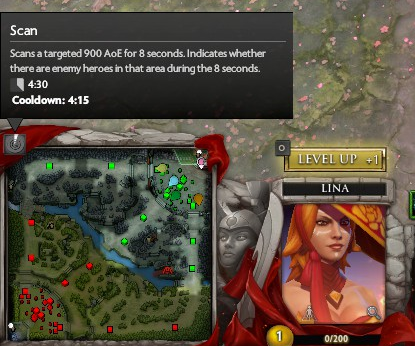 At the beginning of the match game, it is not available and has a cooldown of 4:30 (m:s).It scans ranges to 900 AoE(Area of Effect) for 8 seconds to detect whether enemy heroes are in that area indicates. 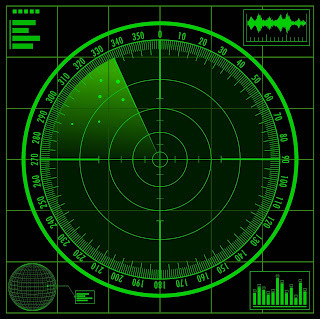 Checks for enemy presence in 1-second intervals, starting immediately on use, resulting in 9 checks. When a hero is detected, the green (blue in color blind mode) minimap indicator turns red. Does not consider units inside the Roshan Pit. Detect enemies under the effect of Smoke of Deceit. Does not show how many heroes there are, just if there are any enemy heroes. This includes illusions. 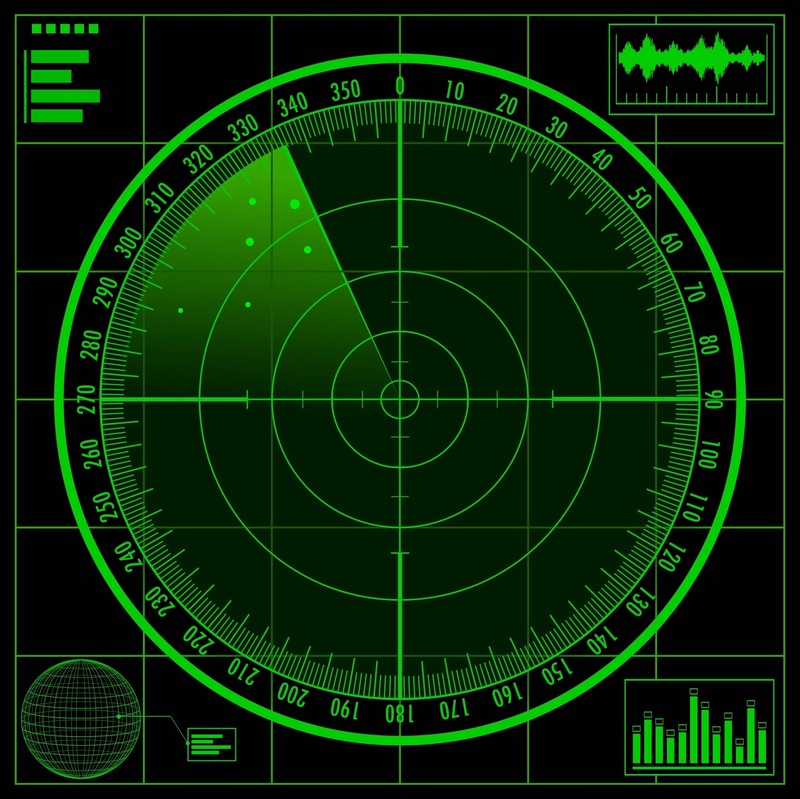 Does not give vision or reveal anything other than the presence of enemy heroes. Enemies do not know when your team casts it.